The Downstairs Gallery features an interesting array of original oil paintings for both the serious and casual collector. The local landscape, vignettes of southern living, and fun are favorite topics. Each season, guest artists provide a fresh perspective of life and lifestyles. Handmade jewelry of unique semi-precious stones and larimar, found only in a dormant volcano in the Dominican Republic, complements the art and adds another dimension to the gallery. Whether adding to a collection, choosing memento, or just browsing, the Downstairs Gallery is always a welcoming and creative experience. 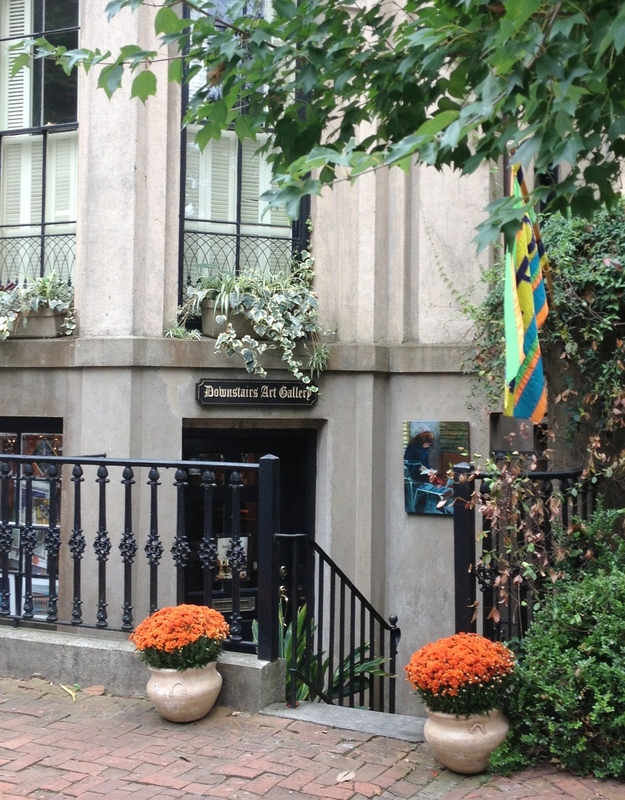 The Gallery is a co-op and is run by the main artists: Morgan Kuhn, Catharine Varnedoe, and Margie Sone. One of our artists, or Puppy, is in the Gallery each day. We are conveniently located between the Mercer-Williams house and scenic Forsyth Park in Historic Savannah. There is ample shaded parking available on West Gordon Street in front of the Gallery. Maps of the Art District are available at no charge and we are the best starting spot for that art/books/antiques/food tour of Savannah. From here, great journeys begin.